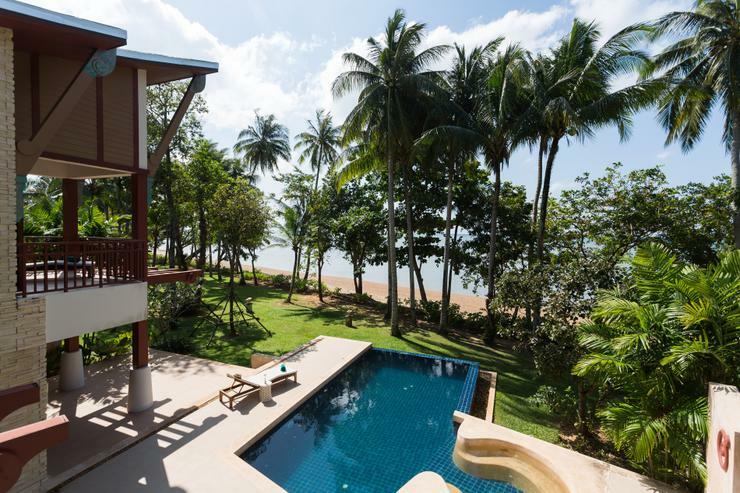 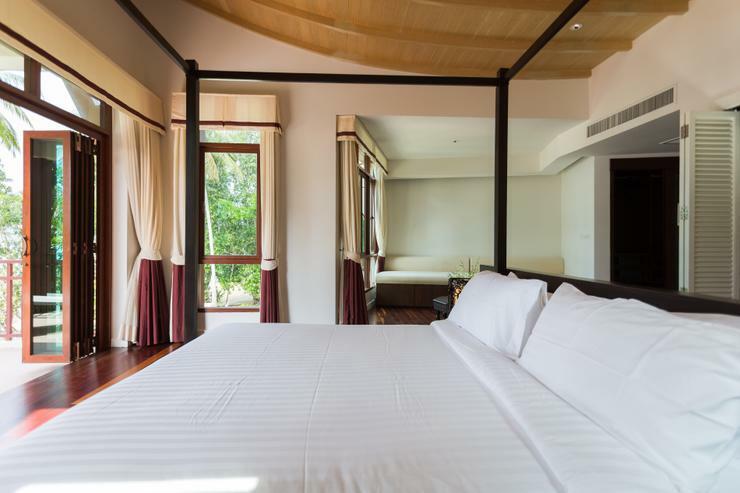 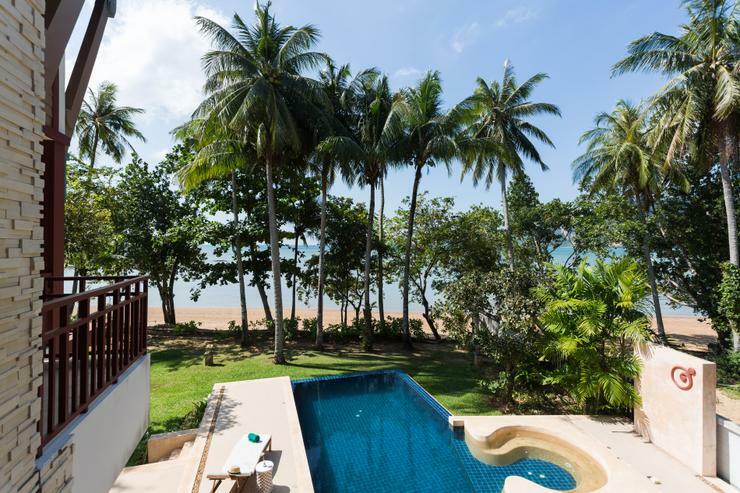 Amatapura Villa no.15 is set immediately in front of the beach in Ao Nam Mao, with direct access to the sand and enjoys beautiful views over the islands. 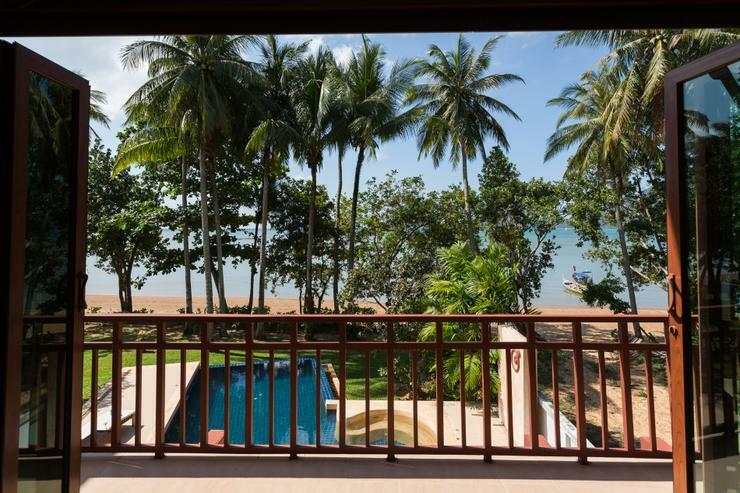 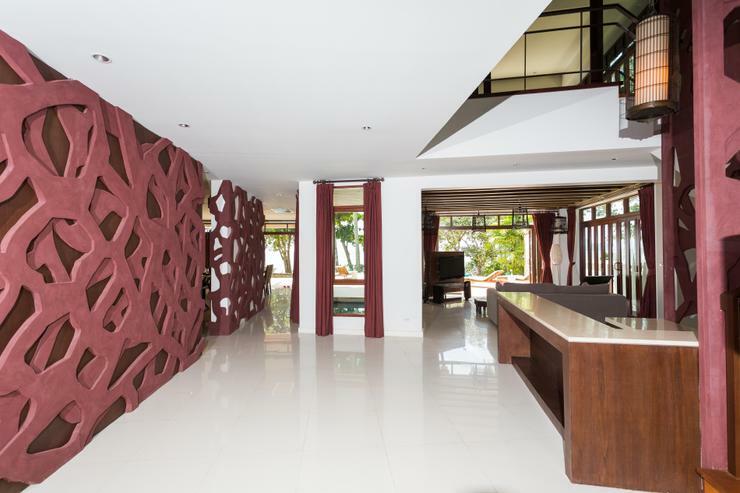 The villa has off-street parking with 24 hour security; car or motorbike rental can be easily arranged. 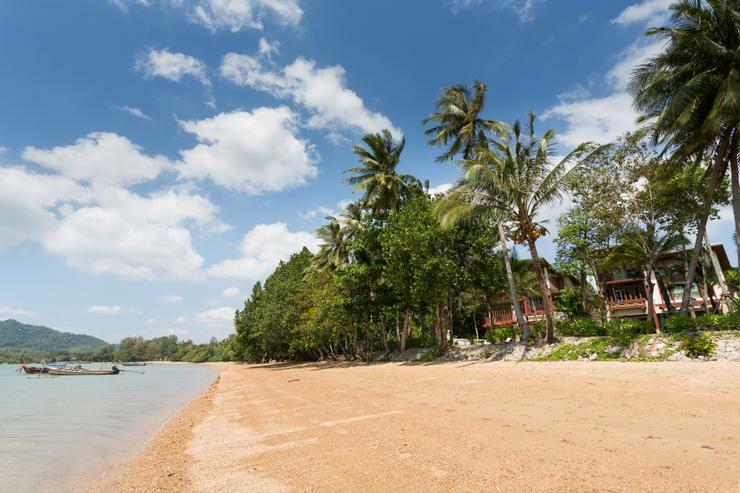 Those who do not have their own transport may use Krabi Riviera's tuk-tuk service to get to and from Ao Nang, or the boat pier at Ao Nam Mao, both of which are a short distance away. 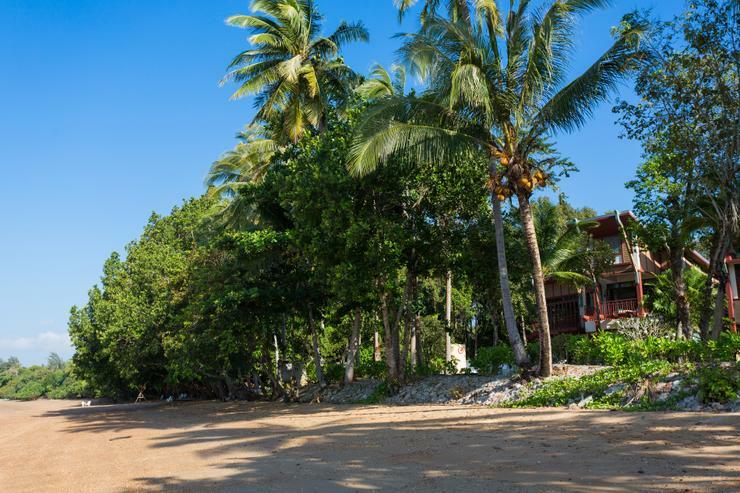 There are two excellent restaurants a short stroll down the beach. 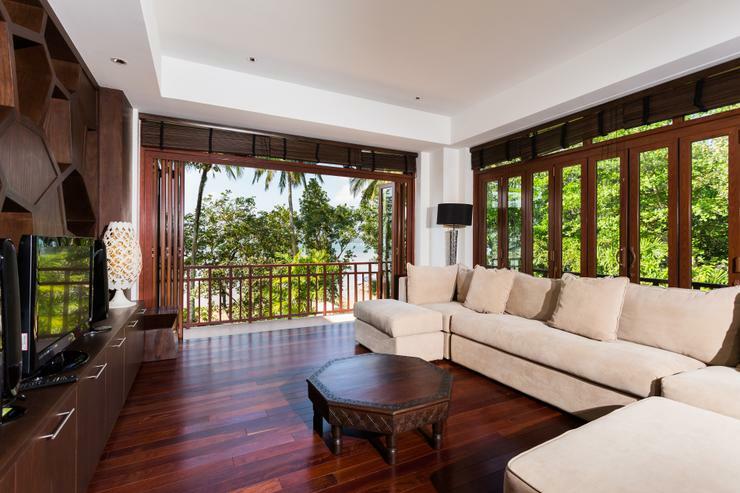 A personal concierge is also on call to arrange door-to-door sightseeing excursions. 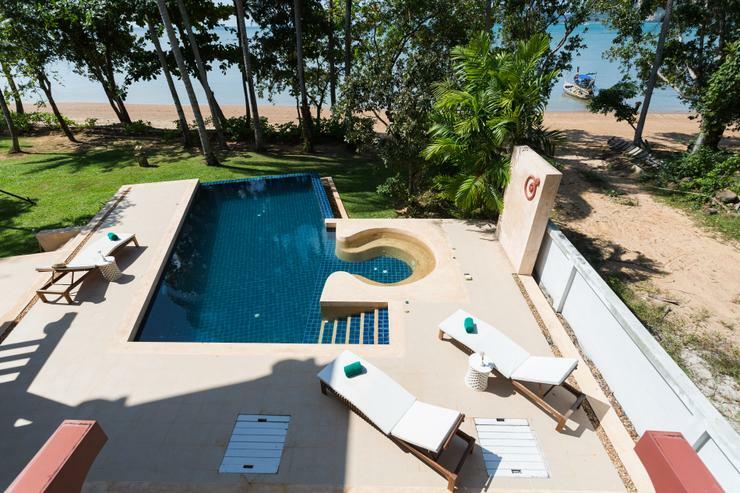 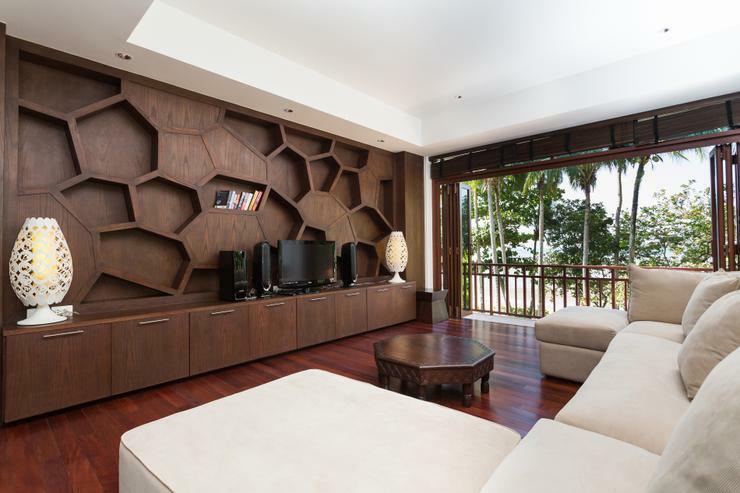 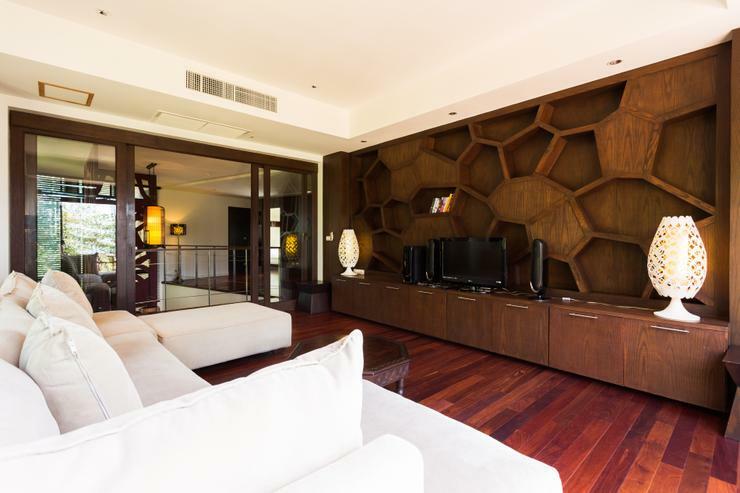 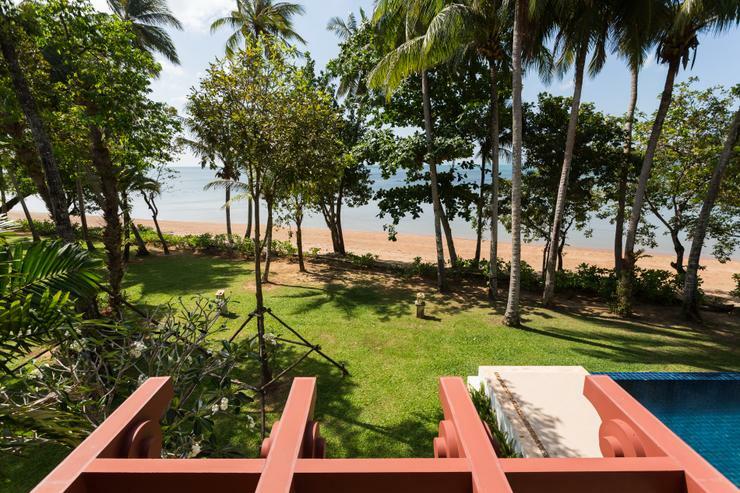 Located in a chic beachfront development, Amatapura Villa no. 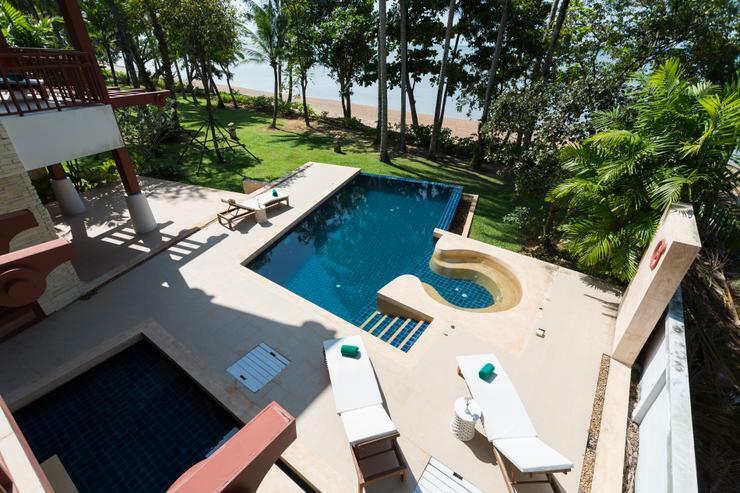 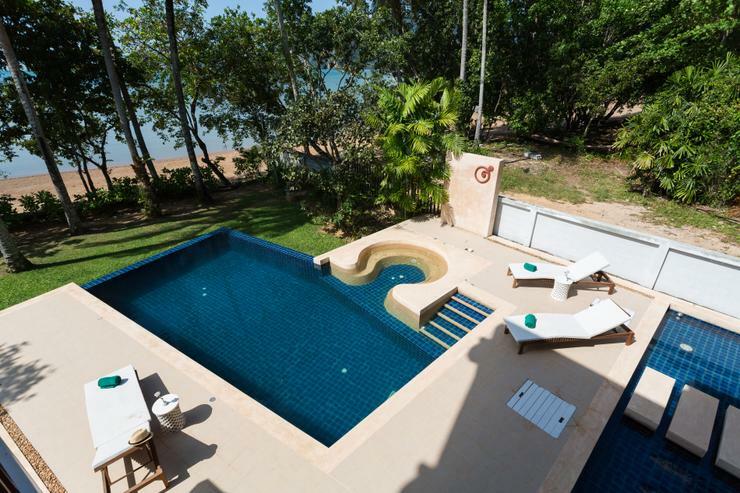 15 is a four bedroom - four bathroom luxury home with private pool. 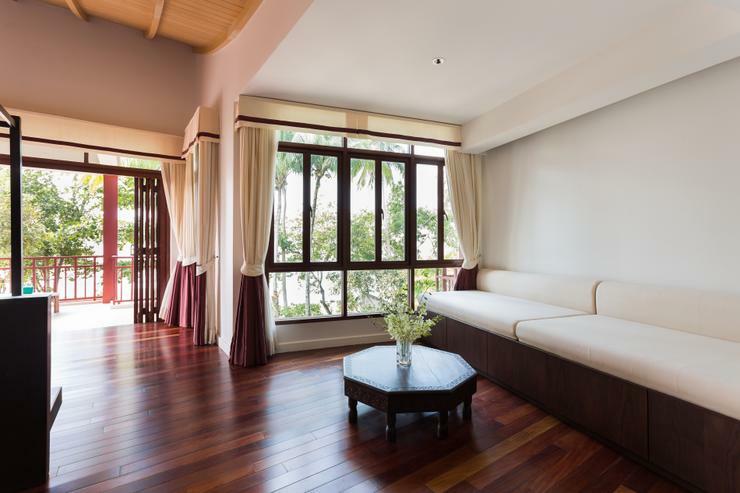 It is set immediately in front of the beach in Ao Nam Mao, with direct access to the sand and enjoys beautiful views over the islands. 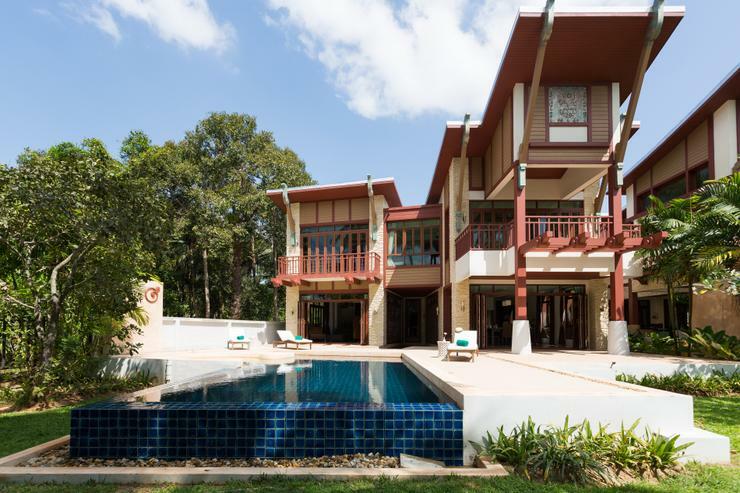 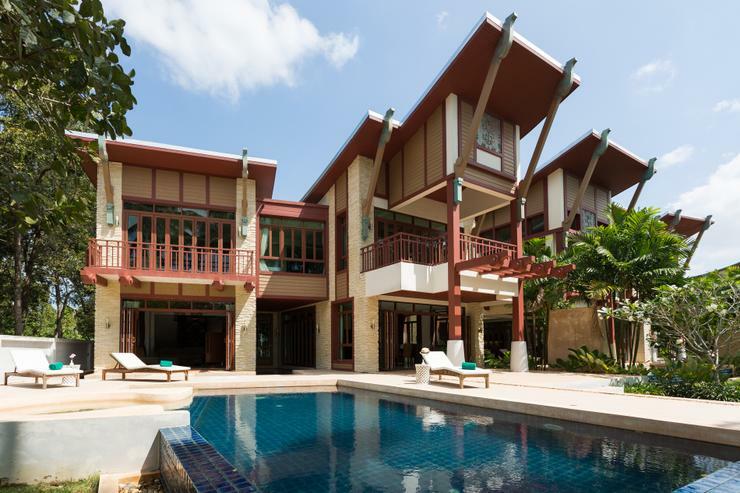 Designed in a very similar style to the neighbouring Amatapura Villa no. 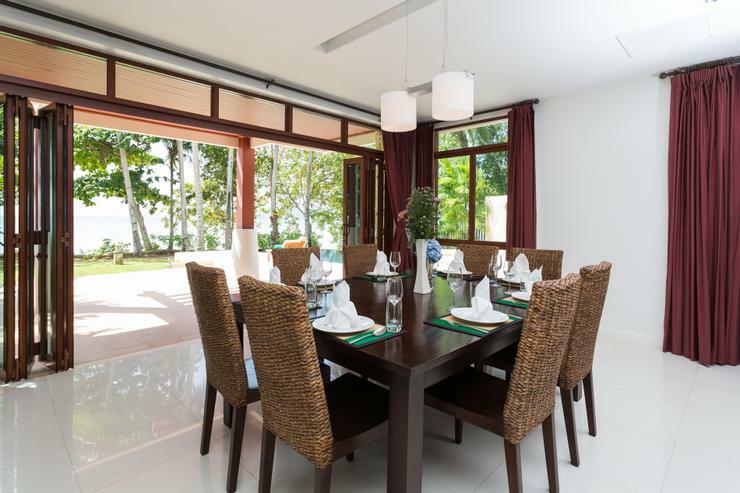 1, this villa offers the same understated elegance, high quality furnishings and plenty of space to spread out. 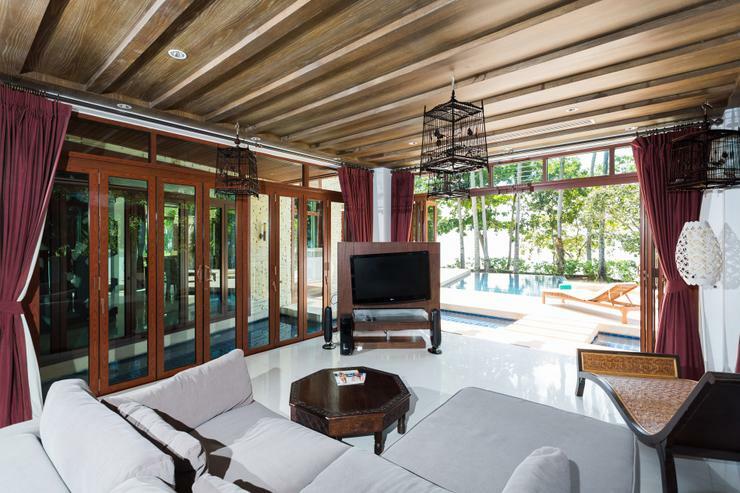 The huge entrance hall creates a dramatic first impression, with a double height ceiling, custom-made fretwork screens and views through to the beach. 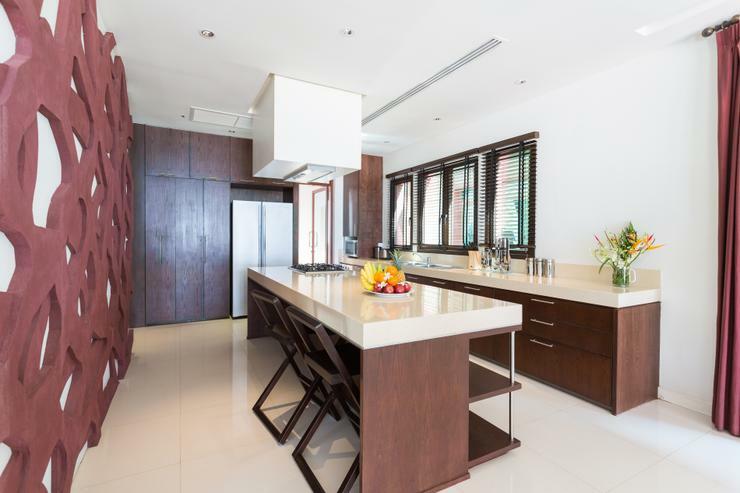 A wet bar is in place to serve drinks on a casual basis, or for any function guests may plan during their stay. 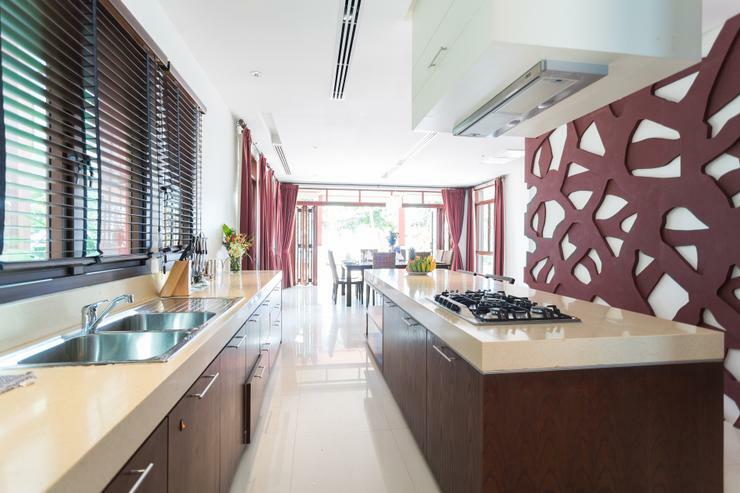 The living space is open-plan with a large, well-equipped kitchen that features a central island with breakfast bar, five ring gas stove, oven, microwave and double door fridge-freezer. 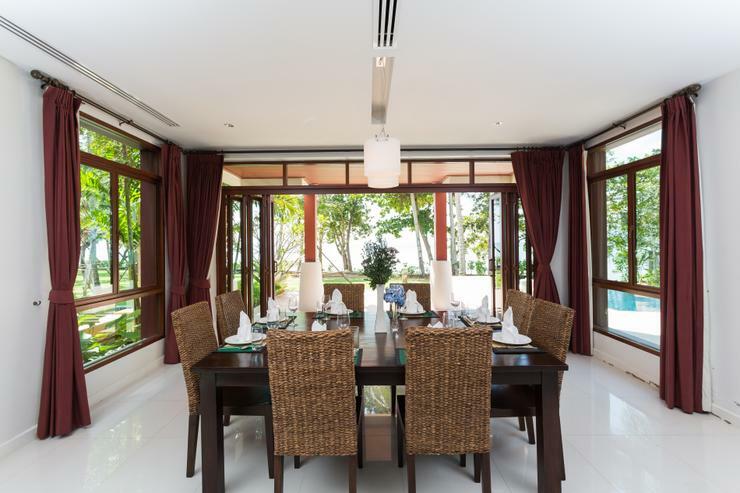 A dining area with 8-seater table and a lounge with 42" TV (satellite channels) are located in the two ‘prongs’ of the unusual Y-shaped space. 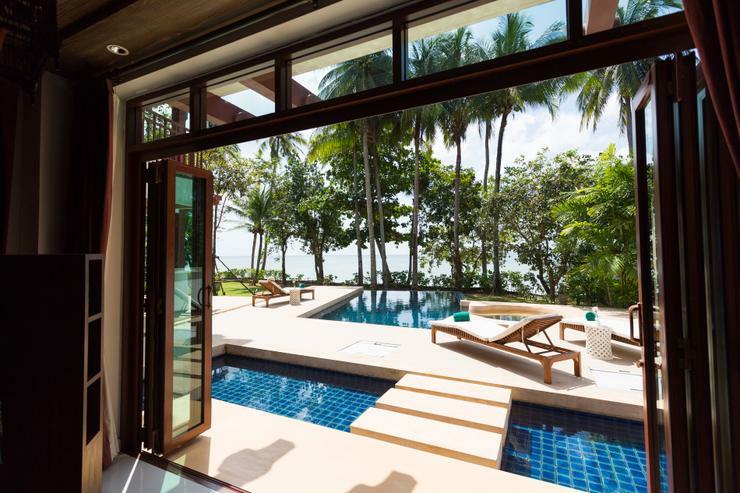 Floor to ceiling windows along the outer walls can be opened or closed as desired to create a seamless indoor-outdoor feel with the large tiled deck outside. 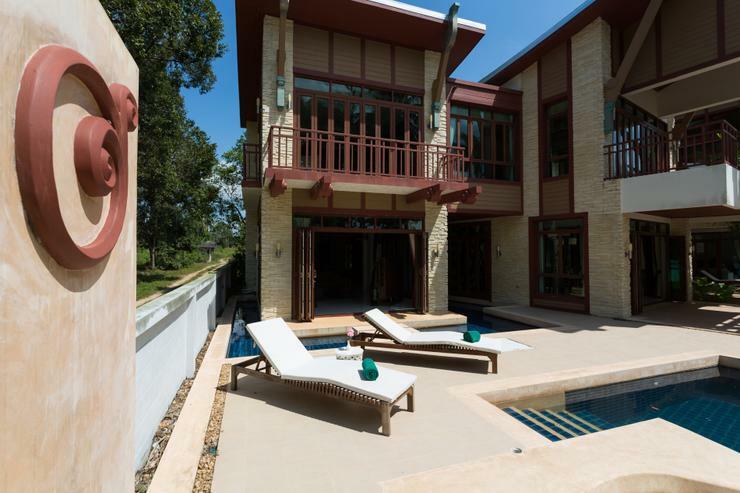 This patio area - partly shaded - connects the house with the swimming pool and Jacuzzi, and the smaller toddlers’ splash pool. 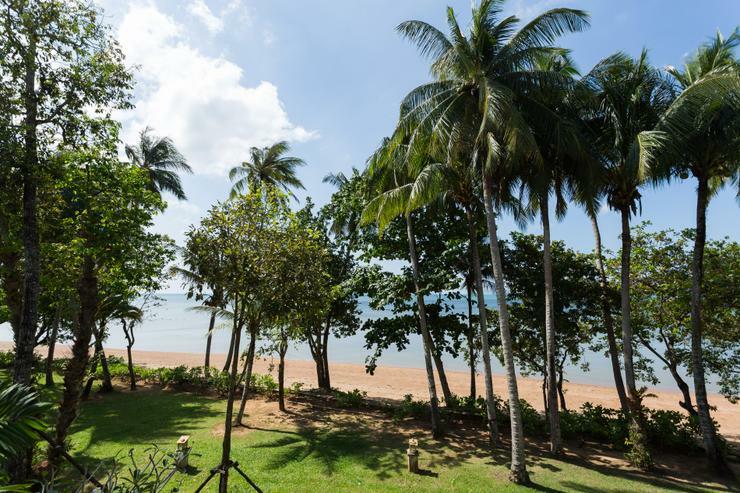 Beyond can be found the well-tended communal garden and the beach - which, being separate from the main tourist hub, is usually quiet and deserted. 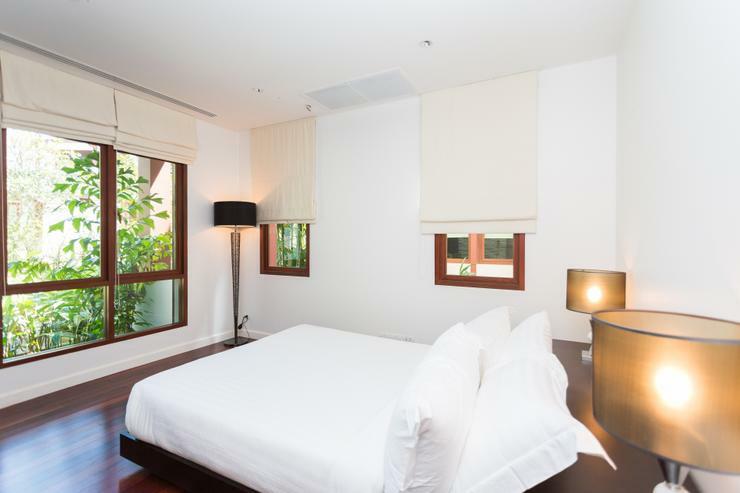 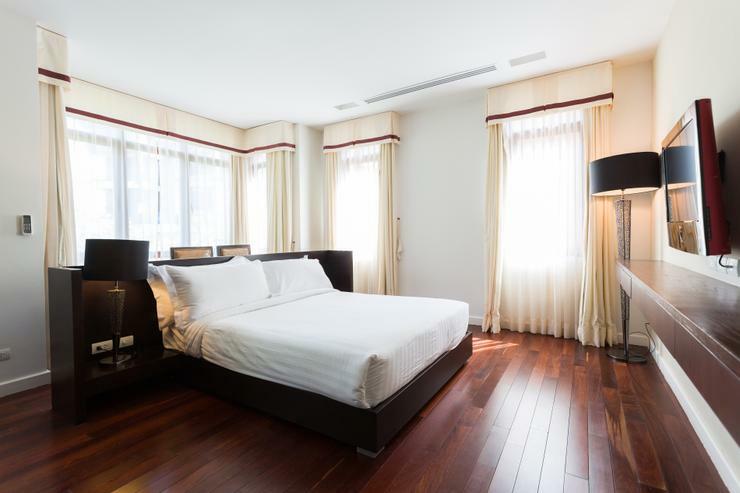 One double (queen size) bedroom is located here on the ground floor. 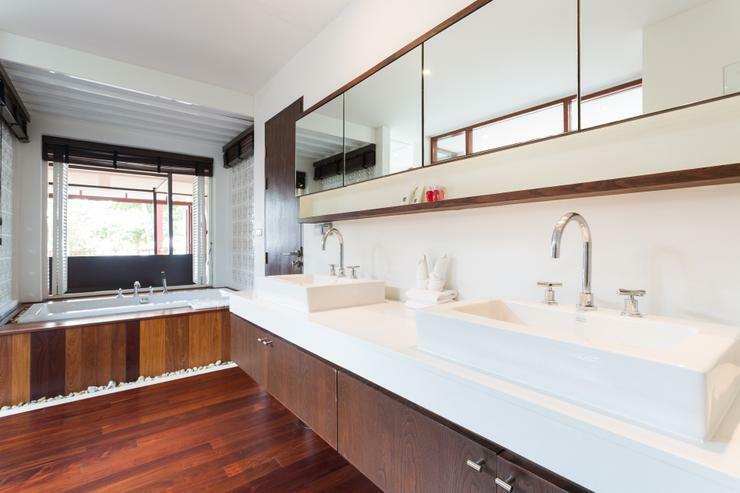 This uses the adjacent communal bathroom with walk-in shower. 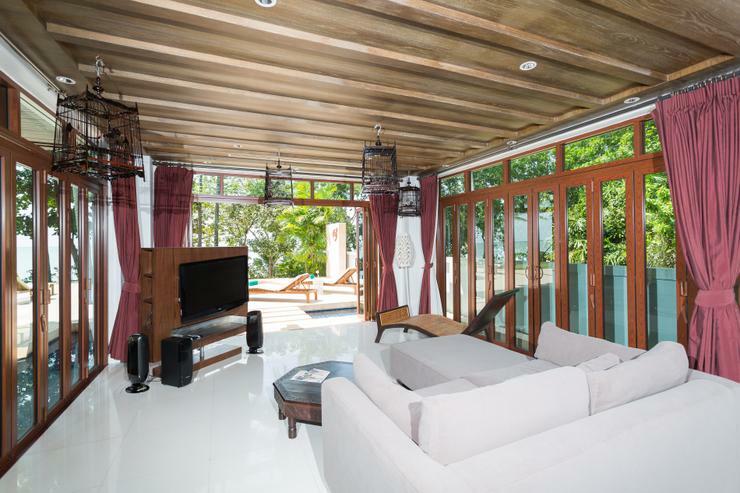 On the upper floor can be found three more bedrooms. 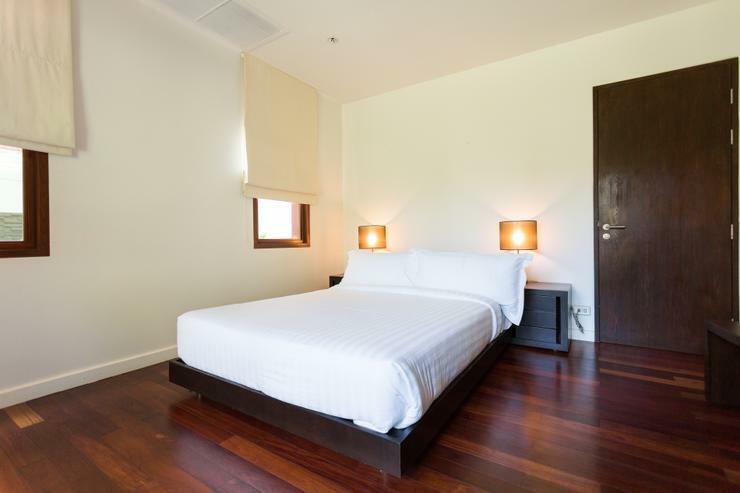 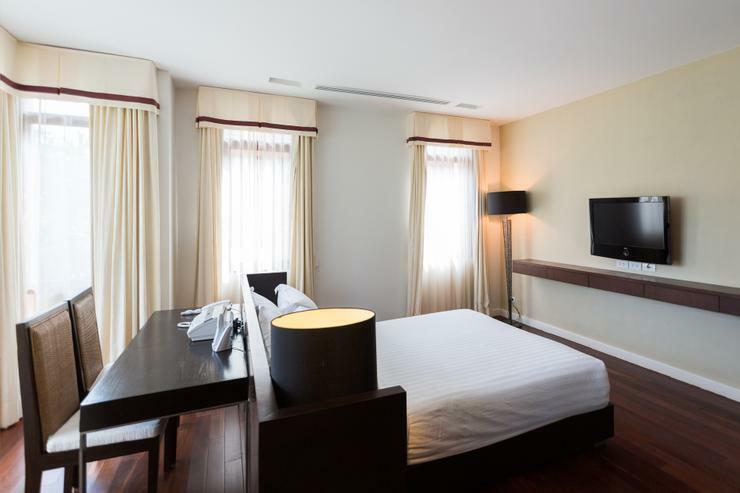 Two are queens with en-suite facilities, TV with DVD player and built-in closets; one also has additional space for an office desk and dressing area. 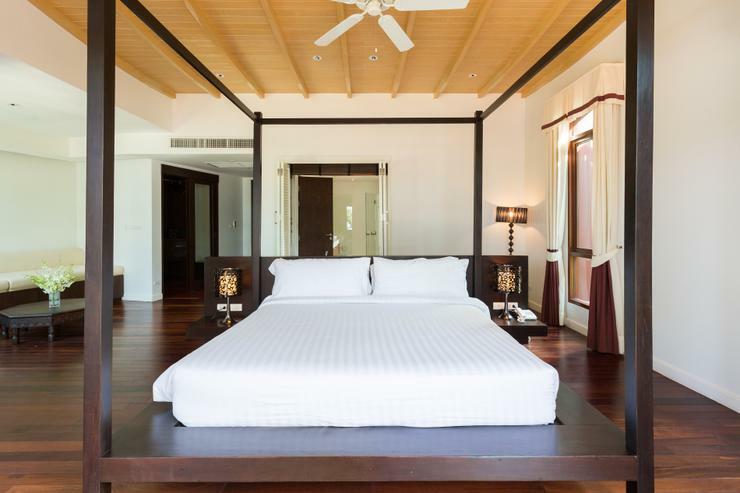 The magnificent master suite spans the width of the villa and overlooks the ocean. 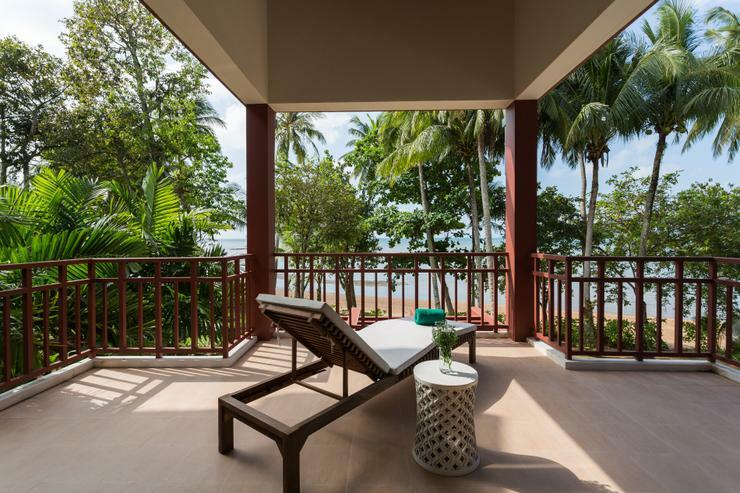 The four-poster bed is positioned to take advantage of these spectacular views; there is also an outdoor balcony with sun loungers for guests' use. 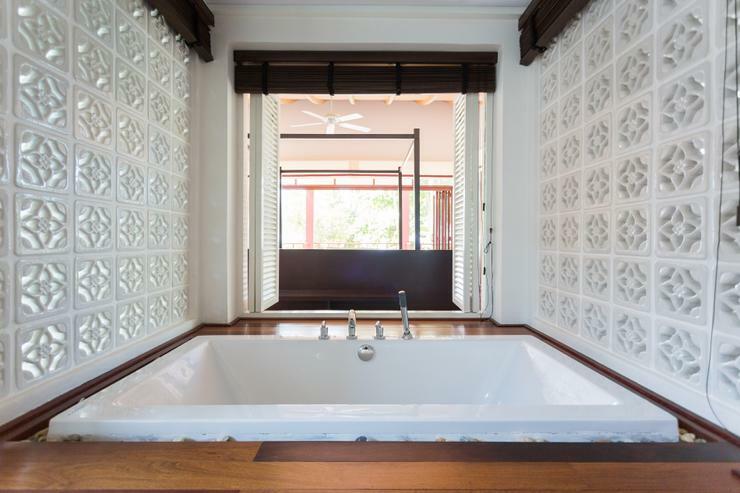 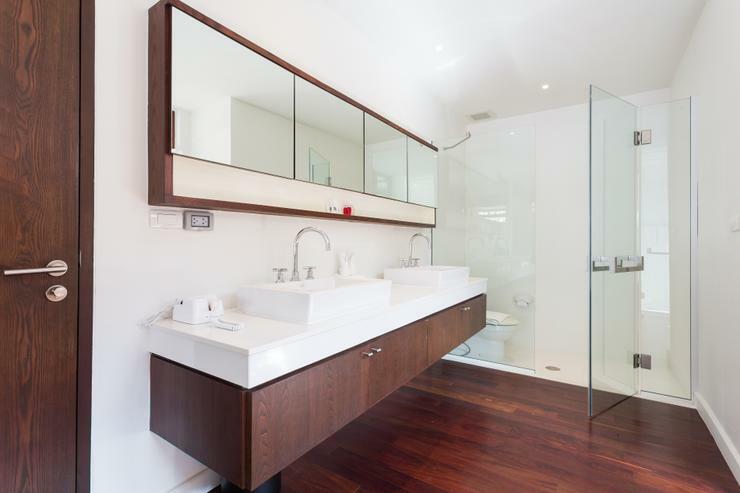 A light-filled, spa-style bathroom offers a double vanity unit, walk-in shower and bathtub that can be optionally opened onto the bedroom. 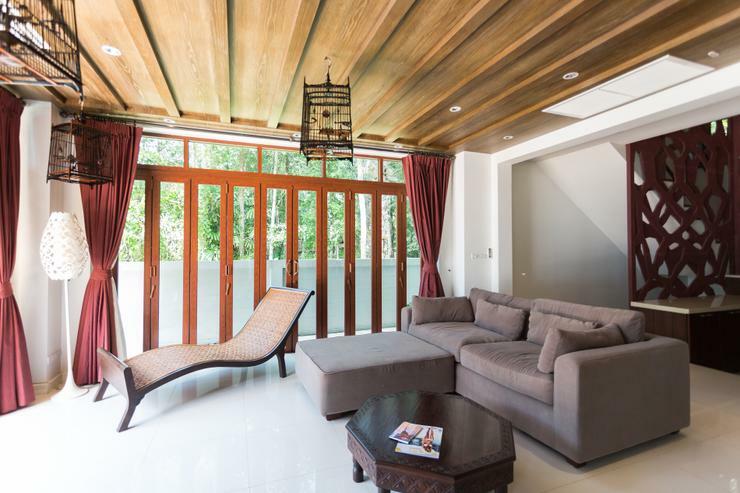 There is a small living area with daybed, as well as ample walk-in closet space. 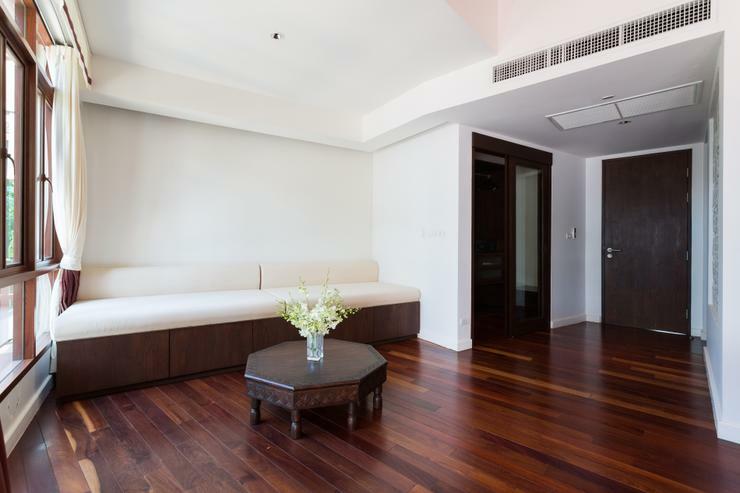 This floor also has its own lounge, a cosy space that could be used as a reading or games room, or as a second media room - there is another TV with satellite channels provided. 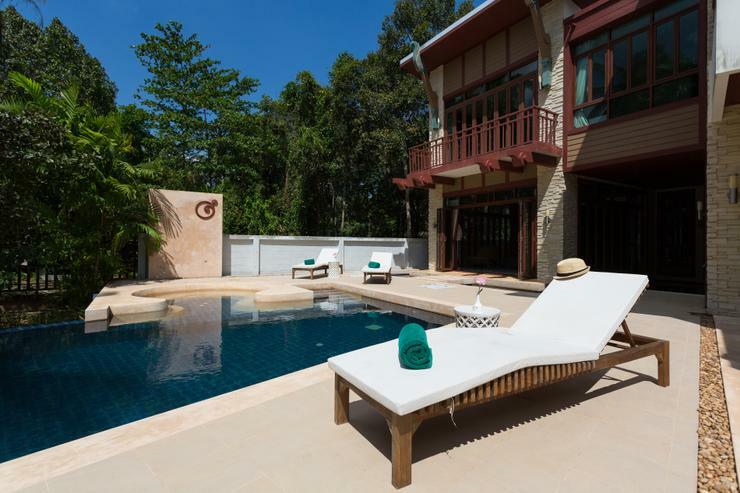 Central air conditioning and wi-fi internet are available throughout the house; a larger communal pool is also available within the exclusive Amatapura development for those who wish to swim laps. 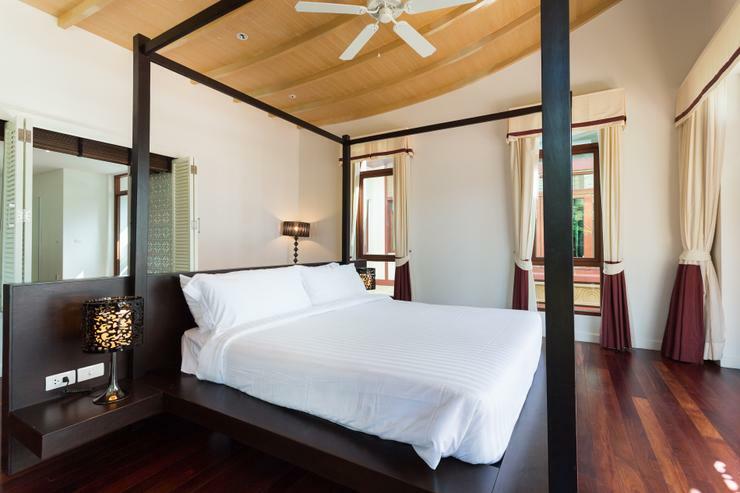 Any of the villas at Amatapura may be rented concurrently, to allow groups of up to 30 people to stay together in neighbouring properties; please contact our reservations team for more details.